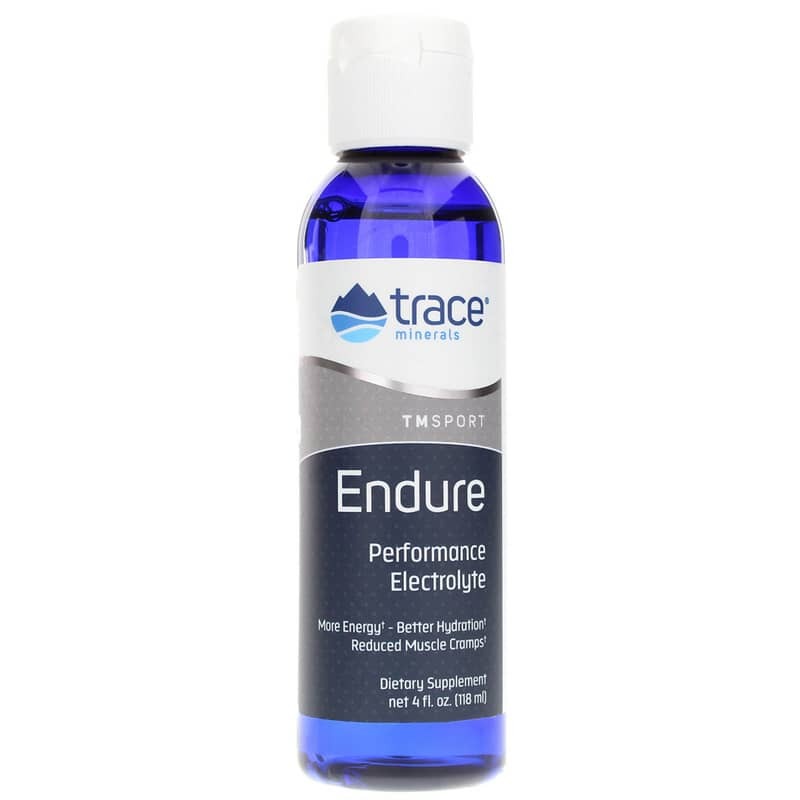 ENDURE Performance Electrolyte from Trace Minerals is an exceptional quality electrolyte supplement that support greater endurance, energy, and hydration, while naturally relaxing muscles to help prevent cramping. Great for use in hydration packs! When it comes to maximizing your performance during intense physical activity, energy, stamina and endurance are crucial. Your ability to effectively re-hydrate and replace your body with lost electrolytes is essential to performing at your best. If you do not, cramping, fatigue and dehydration will set in, causing decreased energy and stamina. ENDURE is a perfectly balanced pure electrolyte concentrate that contains important electrolytes such as potassium, sodium, magnesium, chloride, and sulfate. Many sports drinks contain only potassium and sodium. ENDURE not only contains these important electrolytes, but contains magnesium, an essential electrolyte that naturally relaxes muscles to prevent cramping - a nemesis to the performance athlete. ENDURE can be added to whatever you want, whenever you need it. Now you do not have to consume sports drinks that are full of sugar and carbs for hydration. Get your carbs at whatever rate works best for you and add in ENDURE for pure and effective hydration - the perfect combination to enhance your performance. Adding ENDURE to water creates instant and effective hydration during long rides, hikes or races. Sometimes staying hydrated is a battle in itself because drinking too much water or sweet sports drinks can cause bloating, stomach aches or even an upset stomach. ENDURE maximizes every squeeze from your water bottle because it provides only what your body needs and nothing extra to weigh you down. This gives you the heightened endurance you need until you cross the finish line. 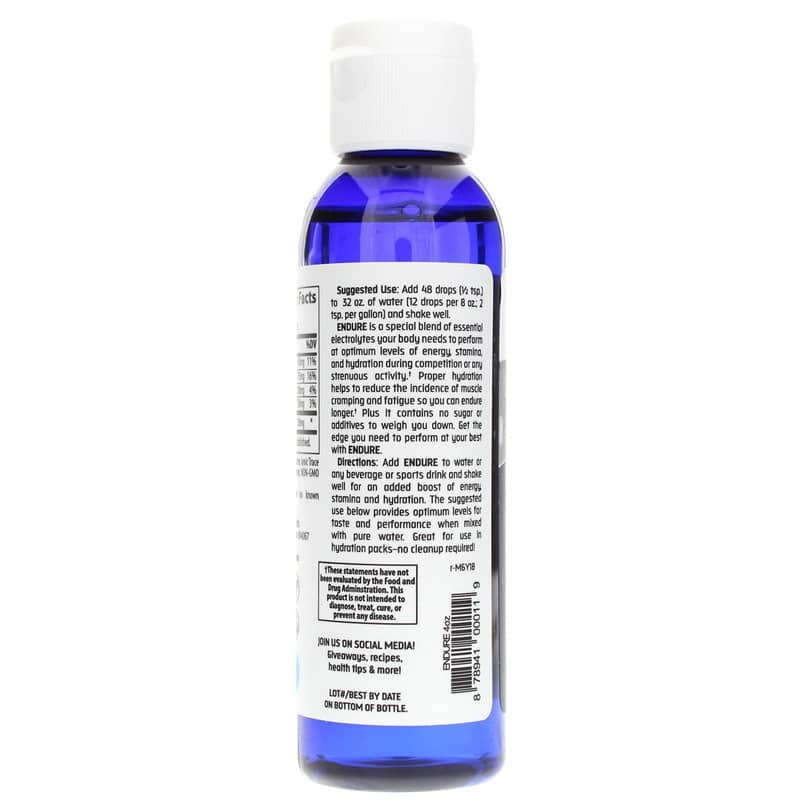 Ingredients: Seawater, Ionic Trace Minerals (ITM), purified water, Non-GMO citric acid. Contains NO: gluten, GMOs, known allergens. Certified Vegan. Add 48 drops (1/2 tsp) to 32 oz. of water (12 drops per 8 oz; 2 tsp per gallon) and shake well. Adults: Add ENDURE to water or any beverage or sports drink and shake well for an added boost of energy, stamina and hydration. The suggested use provides optimum levels for taste and performance when mixed with pure water. Great for use in hydration packs - no cleanup required! More beneficial than a sports drink. The product is great! I enjoy using it during intense workouts. The best thing about this product it that you get more minerals and electrolytes than an ordinary sports drink and it also doesn't have the high sugar content. 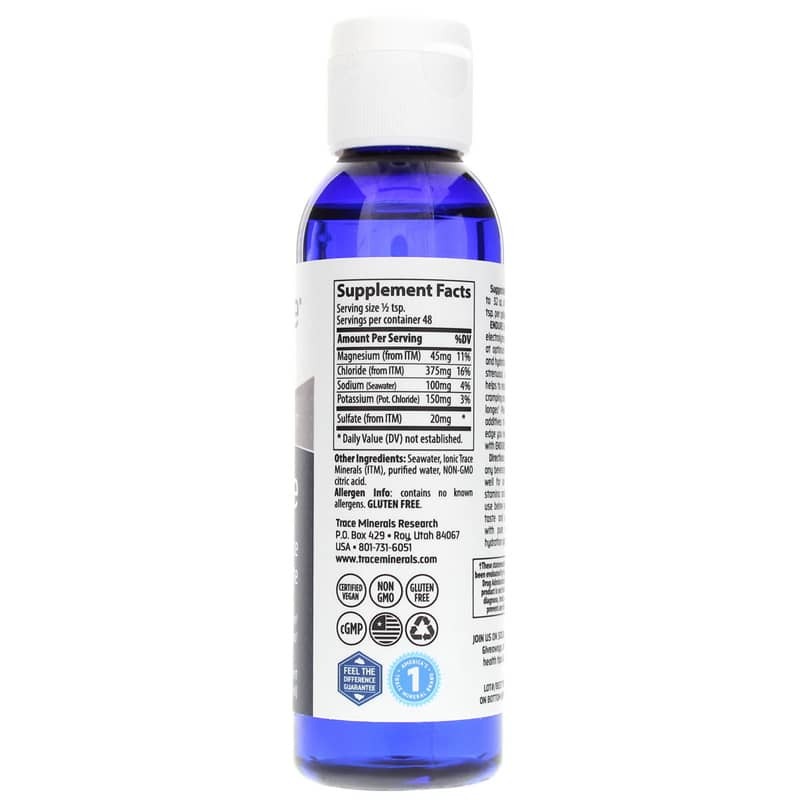 Additionally you can add it to anything to receive the benefits of the electrolytes.